Graeme Roberts (Engineer), Wayne Keogh (Earthmoving), Karl Auld (Re Autocross), John Abbott, Bruce Keys (CAMS Manager of Track Safety). Chris Piggott aged 24 years, motorsport enthusiast, decided he wanted to build his own Racetrack. He chose the family property, and with his parents (Jim & Kath) blessing set about drafting a proposal for Bellingen Shire Council to start construction of the circuit. Chris received approval from Bellingen Shire Council in September, he then set about designing and constructing a dirt track for Autocross, a distance of 1300 metres. The first Autocross event was held, Dave Morrow was one of our first competitors. The Autocross was well received in the Motorsport world, however Chris wanted to achieve more. Go Kart Track of approximately 500 metres. All work done on the circuit was by Chris, his family and local contractors. Bellingen Shire Council approved the Dirt Go Kart Track of approximately 500 metres. Due to weather conditions and maintenance costs the northern half of the Autocross track was redesigned and the surface made bitumen. This was also the year the Canteen/Office building and Tower were erected at the circuit. Formation of the Raleigh Kart Club. Raleigh Raceway was officially opened by John Pizarro (14 times Australian Kart Champion) on 13th March 1988. Raleigh Raceway became affiliated with CAMS for Competition Karting. CAMS wanted to bring an International Championship of Go Karts to Australia, 5 tracks in Australia were in contention. Chris took a gamble to upgrade the existing circuit to 1050 metres, bitumen surface (requirement for International Go Kart Tracks). In a bid to win the meeting Chris designed the circuit to meet the Go Karting standard at that time which included high speed & high braking for the modern Go Kart. Chris put together a proposal to CAMS (Confederation of Australian Motorsport) to hold the event at Raleigh Raceway. His gamble of constructing a 1050 metre bitumen circuit paid off and Chris was awarded the first International Championship to be held in 1993, due partly to the fact he had the track already established whereas his opponents wanted confirmation of the event before any of their tracks were upgraded to International Standard. Chris went on to hold the International Championship 4 more times. This was the year that Chris received International Status of his circuit, a great achievement. Raleigh Raceway was listed as one of the top 5 International Go Kart circuits in the world. As the cost of upgrading and running a Go Kart meeting of such stature Chris’s resources were quite low, he decided to open up a Hire Kart business which has proven very lucrative over the years and also kept him afloat. First International Go Kart Championship meeting in Australia was held at Raleigh Raceway, over 5000 spectators viewed the spectacular, a credit to Chris and his team who put everything together for this prestigious event. Second International Go Kart Championship. Third International Go Kart Championship, an achievement running this event three years in a row. This was not a great year for Chris and his family in other ways. There was a fire in the main building, housing office and workshop. The loss was substantial, lost records, photos (irreplaceable), workshop equipment, a great office with balcony and the tower among other valuable items. Fire always comes at a cost, but Chris being the person he is, rebuilt his empire and is still going strong today. The Raleigh Raceway were host to many Australian CIK Championship’s for Go Karts over the years. Round of the Australian CIK Championship held. Fourth International Go Kart Championship held. Fifth International Go Kart Championship held. 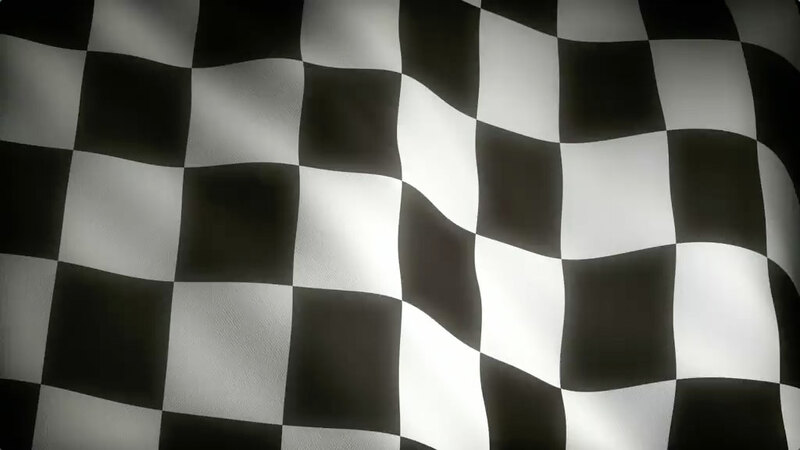 Since 1987 the Raleigh Kart Club hired the Raleigh Raceway circuit to conduct competitive Go Kart meetings. In 2005 the decision was made by the Club to cease running AKA affiliated events due to lack of entries. Only 30 entries were being received for a club meeting (up to 150/200 entries received at the height of Go Karting), so the Club was running events that were not viable. Introduction of Drifting – still going strong. Round of Australian CIK Championship held. Some of the world’s drivers to have competed at the Raleigh Circuit in CIK-specification karts include the likes of Formula One driver Jarno Trulli, Indy Car Series driver Ryan Briscoe and World Karting Champions Alessandro Manetti and James Courtney. Entering the third round of the Championship, South Australian Tyson Pearce holds a slender lead at the top of the points standings over the Newcastle pair Hayden McBride and Simon Roberts. In 2000, Pearce finished runner-up to V8 Supercar race winner Michael Caruso in a round of the Ford Kartstars Series at the venue, Raleigh Raceway. Finishing in third place at that event was 2008 V8 Championship runner-up Mark Winterbottom. First Drift Series was run. 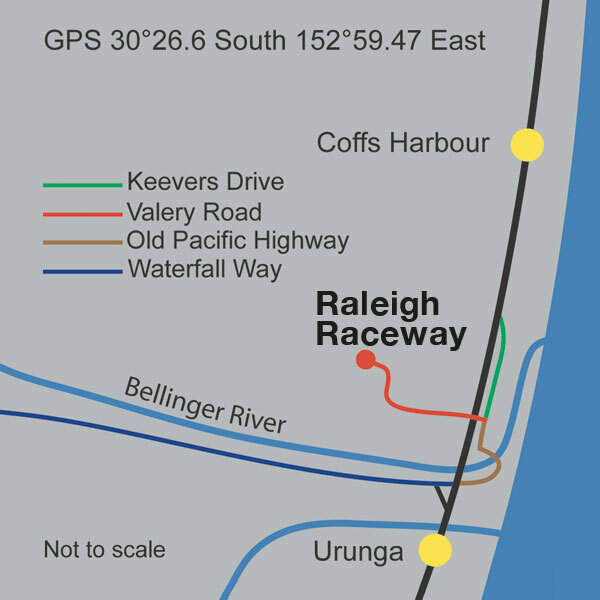 Stage of the WRC held at Raleigh Raceway – November 2016 – first time. Official opening of Rallycross circuit on 26 February 2017. Opening by visiting guests Dave Morrow and Bob Watson… two of the greats from Rallycross and Motorsport in general. Included in the line up, Jamie Whincup, Ryan Briscoe, James Courtney, Mark Winterbottom and Michael Caruso. Has graced the Raceway several times – a sight to behold – 8 Tonne Truck doing Burnouts!! Kenworth T400 with two V* 92-series Detroit Diesel Engines fitted with two blowers, four Turbo chargers and injected with Nitrous Oxide with 2200HP@3000 RPM and 2800 nitrous oxide boost. Torque 5600 FT/LB. The Dragens Hotrod club have been attending the Raceway for over 20 years. They conduct Go to Whoas and Lap Dashes. Raleigh Raceway have been host to 3 State Championships and 1 National Championship.